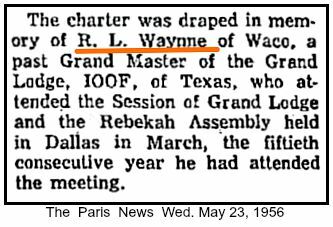 My Grandfather, Robert Lee Winn/Wynne (1869-1956) changed the spelling of his last name from Winn to Wynne in Waco, Texas around 1896 before his marriage to Myrtle Wortham. 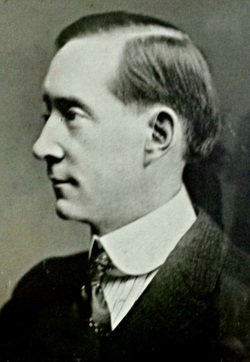 He moved from Salisbury, MO around 1895 to work on the railroad (﻿MKT﻿, I believe) He used his railroad passes to move his parents (John Parks Winn/Wynne 1837-1902) and his wife Nannie Julie Brown Winn from Salisbury before 1900) and all his adult siblings to Waco, Texas. 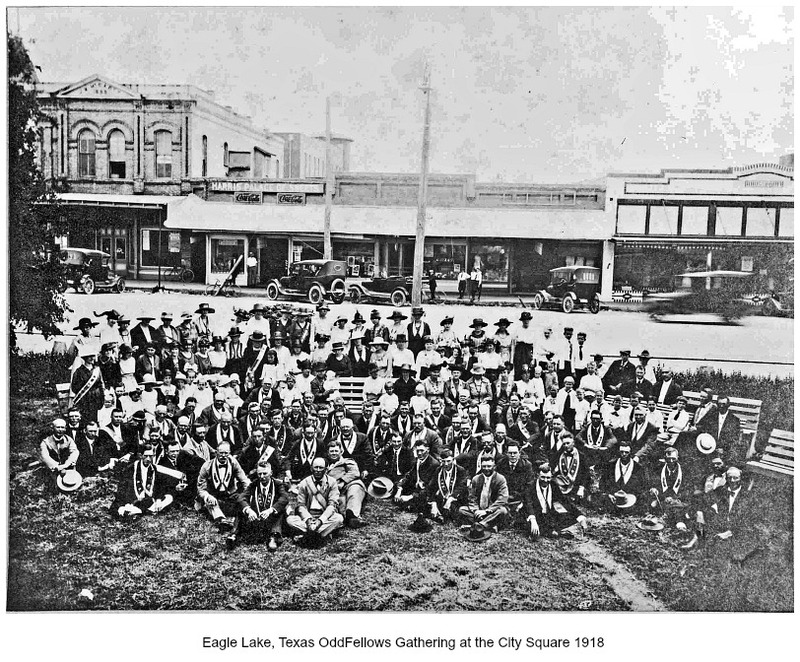 They are all buried in Oakwood Cemetery in Waco. He was a family doer. 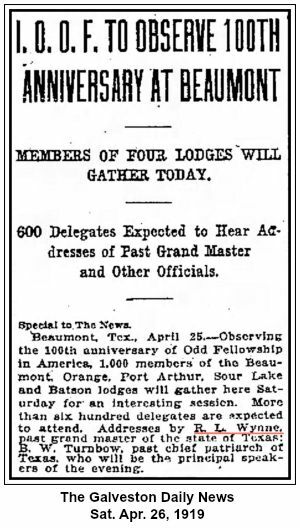 My grandfather moved to Beaumont, Texas in 1903 working for the railroad as an accountant. 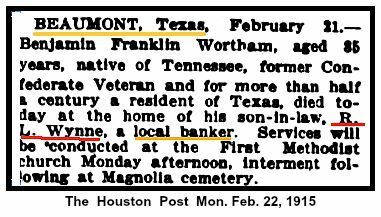 He then moved via railroad passes his wife's (Myrtle Wortham) parents & her 3 sisters to Beaumont. He was a master story teller that never bored me (even when my father told me that you have heard that before - my response was "Dad, the story was better this time" I was 11 years old when grandfather died ... he was my hero. 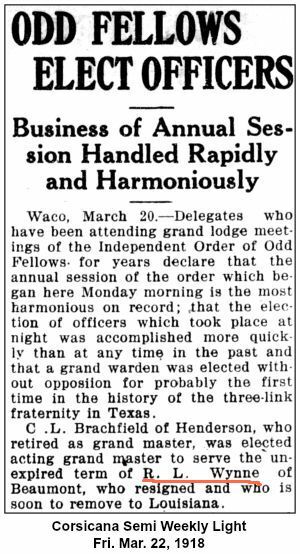 He was the Texas Past Grand Master elected in 1918 and attended 50 consecutive annual conventions until he died in 1956.